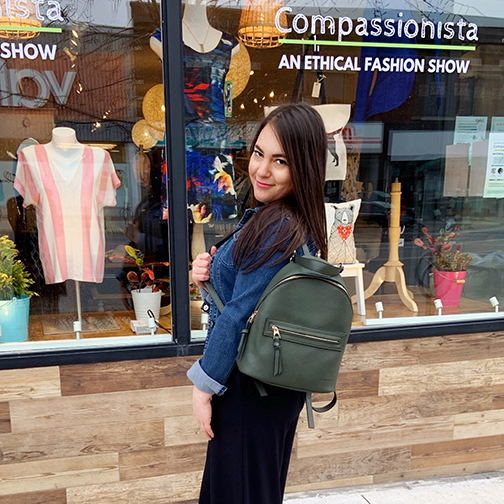 Compassionista, an ethical fashion show, is set to take place this Sunday, April 14, on Danforth Avenue. The show will take place at the Right Side Boutique, 2097 Danforth Ave., from 2:30 to 5 p.m. The Right Side Boutique is both sweatshop free and vegan. A fundraiser will be part of the fashion show, with proceeds going to the Wishing Well Sanctuary in Bradford, which is a charitable organization that aims to be a sanctuary for all. East Toronto entrepreneurs and environmental influencers will be at the Compassionista show. Vegan refreshments will be provided for those attending. Toronto-based design houses and independent designers including Miik, Fig and 98 will be at the show to promote sustainable fabrications and local production. Special guests are expected to include Sam Turnbull, a vegan food blogger, and Camille Labchuk, an animal rights lawyer, and other influencers that support similar lifestyles.